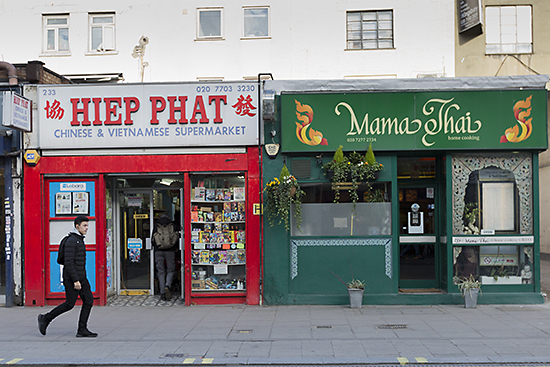 "Some of the best dishes south of the river," is the claim of Mama Thai, a restaurant that's a short walk from Elephant and Castle. 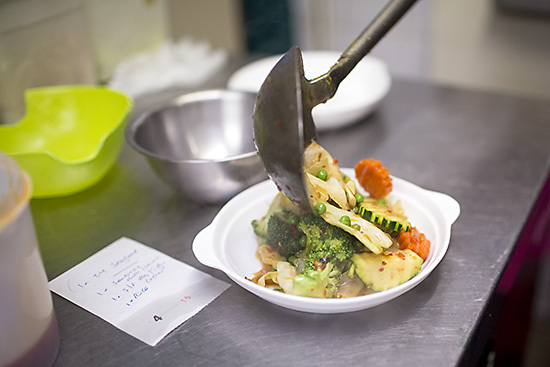 Authentic Thai food is their specialty, using exotic ingredients sourced from the Market every week. 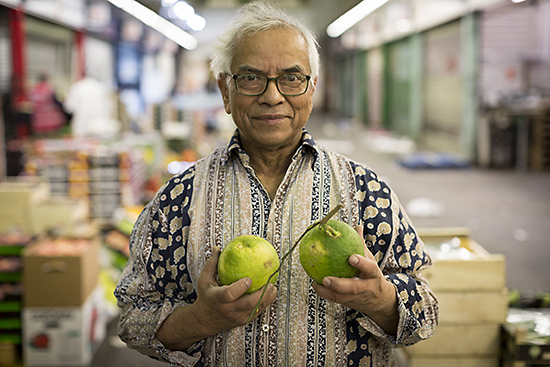 I met owner Ameer Khasru on Buyers' Walk last month as he hunted for ingredients - from Kaffir limes to Holy Basil. "This job is my gym and detox," he said. Ameer has been buying here for nearly thirty years and the lifting and unloading of produce is "no joke". 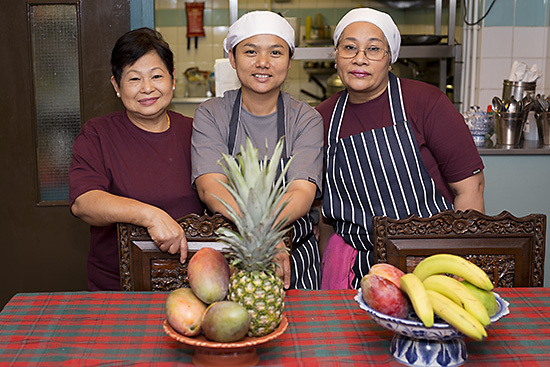 Mama Thai is his latest venture, run with longstanding chef Chalor Santhaveesuk (pictured right below) and her team - Dana Soratat and Apassara Quinlivan. 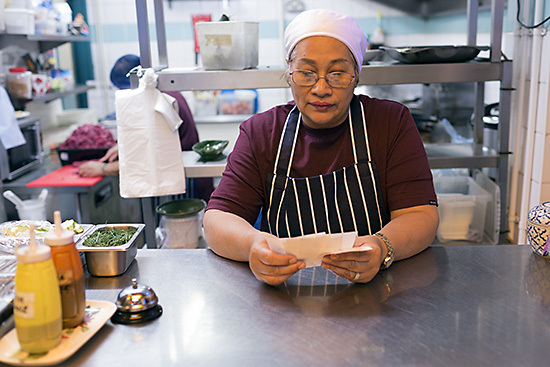 Ameer's role in the business is to buy the best ingredients and manage front of house. But his story is unusual, as I discovered when we sat down to a fragrant lunch of sea bass, stir fried vegetables and green curry. Ameer grew up in Assam, India, before falling in love with the culture and food of Thailand as a young man during work trips as a chartered accountant. 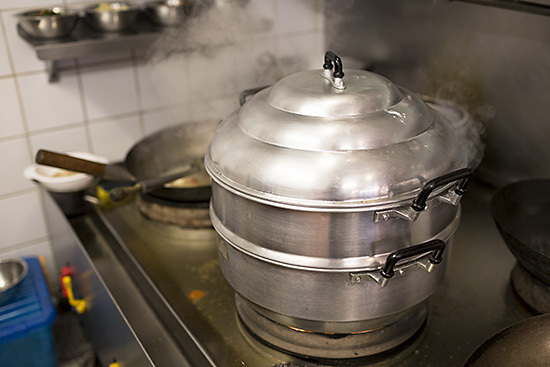 Relocated to England, he set up his first Thai restaurant three decades ago, before a 17-year stint running the famous Thai Pavilion near Leicester Square from 1989-2007. He enjoys his early morning trips to the Market, as it allows him some thinking time whilst he enjoys observing a "kaleidoscope of colour". 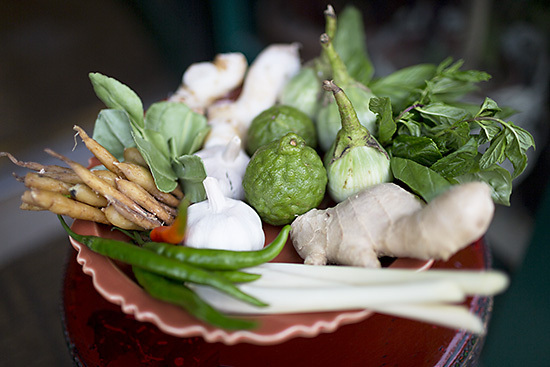 Key ingredients for Thai cooking are ginger, galangal, chillies, Sweet Basil, Holy Basil and round baby aubergines. These are available from wholesalers such as Gilgrove and Worldwide Exotics. 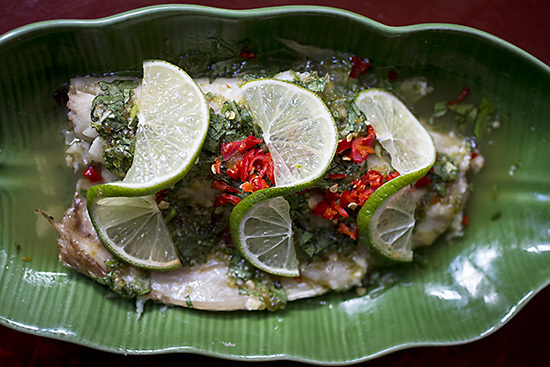 "Kaffir lime and lime leaf are essential to give you the real aromas in Thai cooking," he also explains. At times, these can be hard to source due to international restrictions. "The frozen fruit and leaf doesn’t do it justice at all." 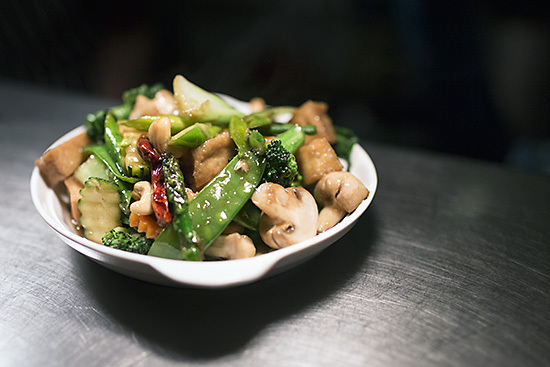 At the restaurant, chef Chalor serves up what she describes as "old style Thai home cooking. [Ameer] tries to get the best of everything - and we work together to cook it in the best way." 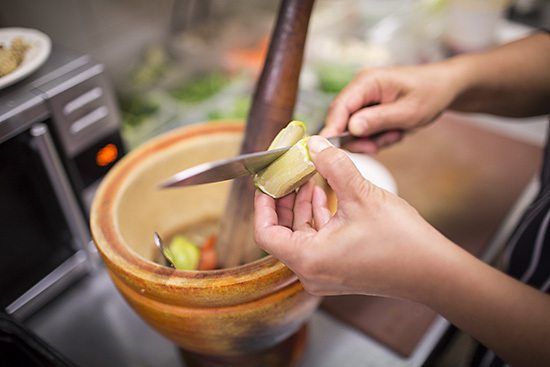 The team cooks from scratch, for example using the traditional pestle and mortar to pound ingredients for a green papaya salad. Ameer is proud of their food, but says it is getting harder to recruit Thai chefs these days. Food prices are also rising post-Brexit. During a recent trip to a wholesaler, he was told that it was £3 extra for a box of 30 packets of noodles, for example. 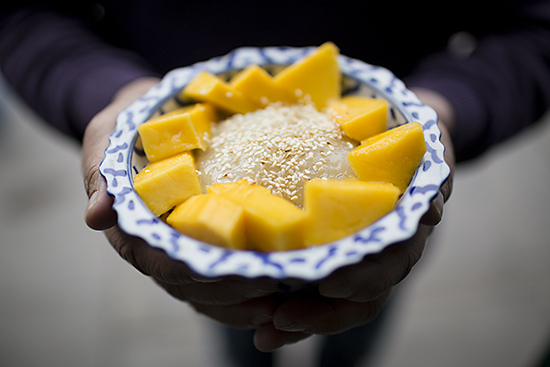 Over a pudding of sticky rice and mango, Ameer reveals that he is philosophical about his connection to food. Walking around the market, for example, gives him a chance to connect with the fundamentals of life. "The human race has evolved in terms of technology and innovation but they have not replaced the beauty God gave us on God's earth and the market reflects that."